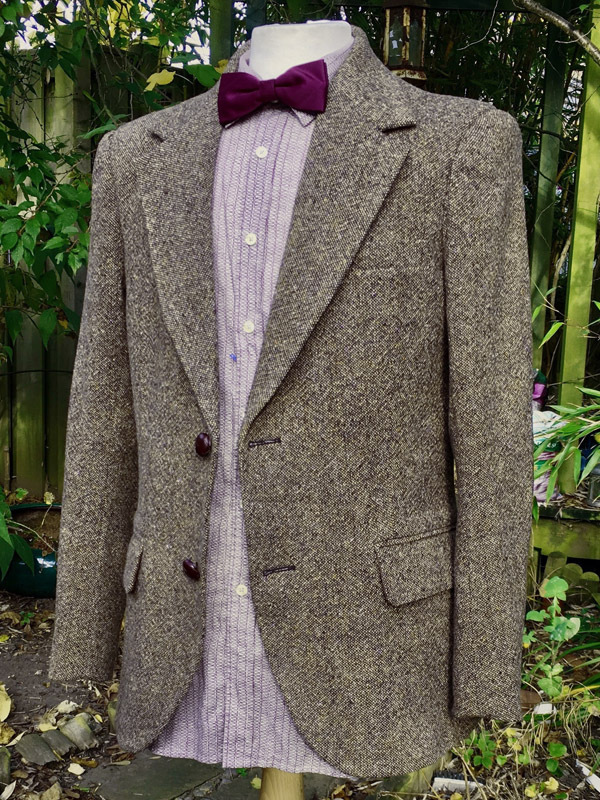 Making My 11th Doctor Costume: London Calling! It would appear three main locations were used. This is a pedestrian area on the edge of the Thames, between Blackfriars and Waterloo bridges. 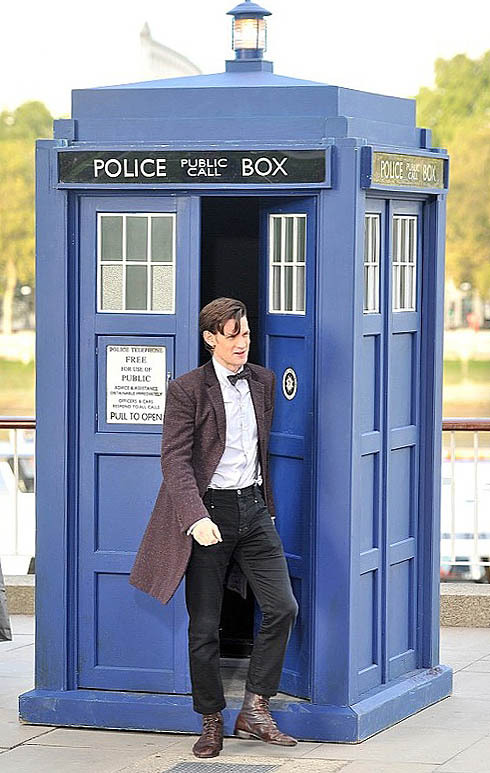 It’s is where the TARDIS touched down. 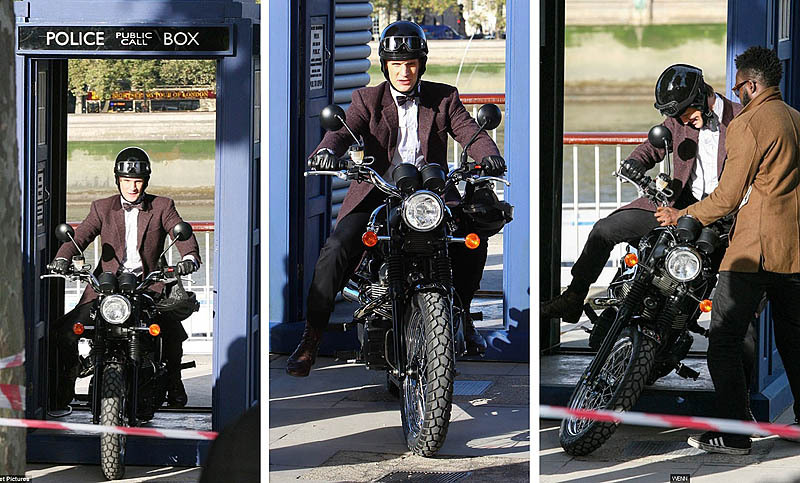 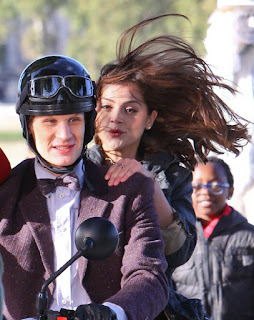 Wearing the new purple coloured frock coat, he was seen exiting his time machine on a vintage motorbike with Clara clinging on to the back of the bike, with appropriate helmets to match. 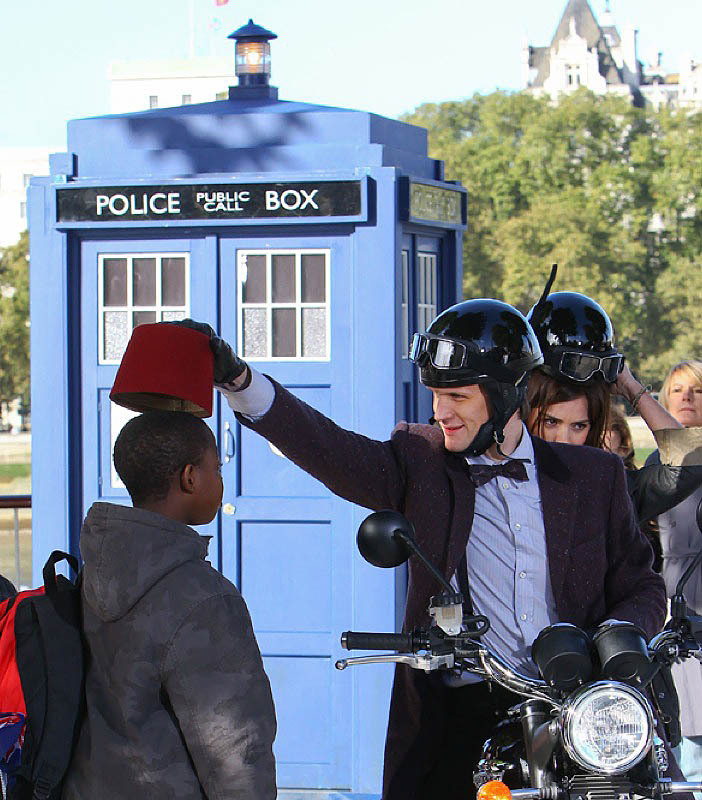 Another scene appeared to be shot, with The Doctor presenting a passing child with a fez. 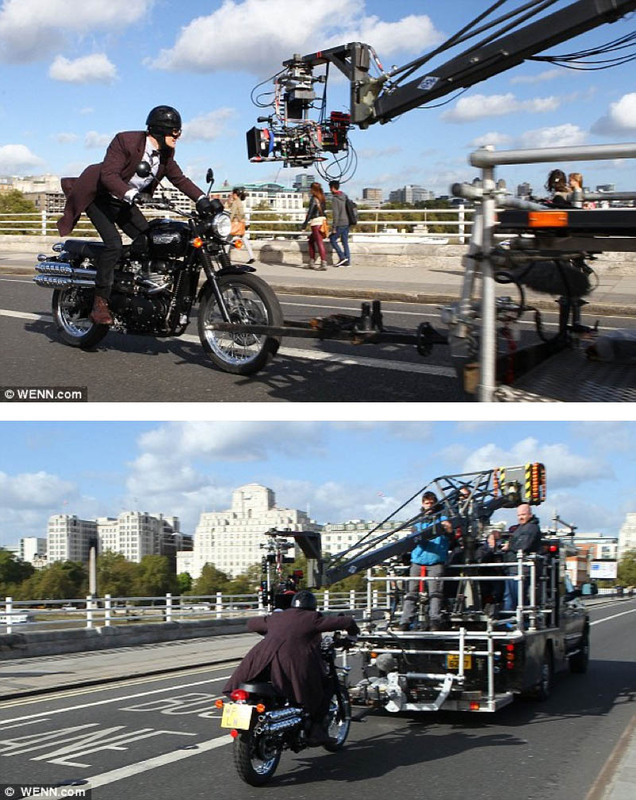 The bike was then pinioned to a camera car, and the pair were seen riding around Westminster, crossing Westminster bridge - previously seen in the 1964 William Hartnell Story Dalek Invasion Of Earth as well as the first New Series episode, Rose. 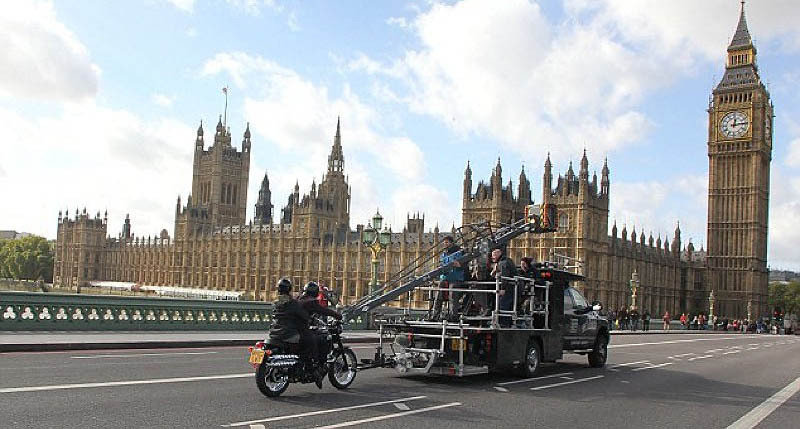 Some passengers on a passing London bus probably couldn’t believe their eyes! 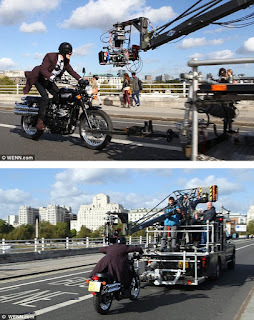 Some further filming took place over Waterloo Bridge - this time with Matt riding solo, and looking like he was on a mission! 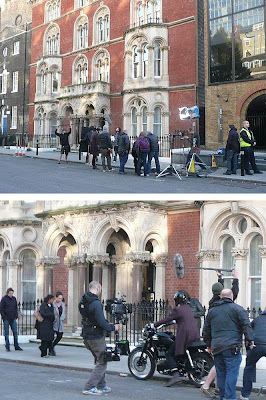 This could be the destination the pair intended to visit - a children's hospital around the back of London Bridge, not far from the newly erected Shard, which has been gaining a lot of public interest lately. A vast number of public were around during this, snapping away on their mobile phones. 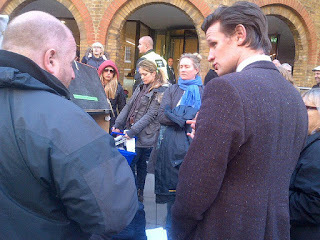 During all this, The Doctors new attire was on show. It looks like the purple frock coat is around for a bit more than one episode. 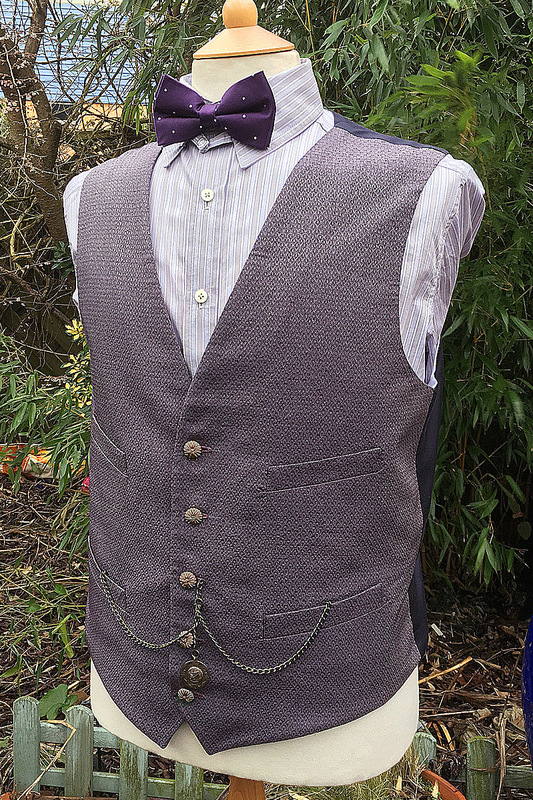 He is also wearing yet another new bow tie. At this rate we'll be able to do a full tie index, like on my Tennant Suit blog! 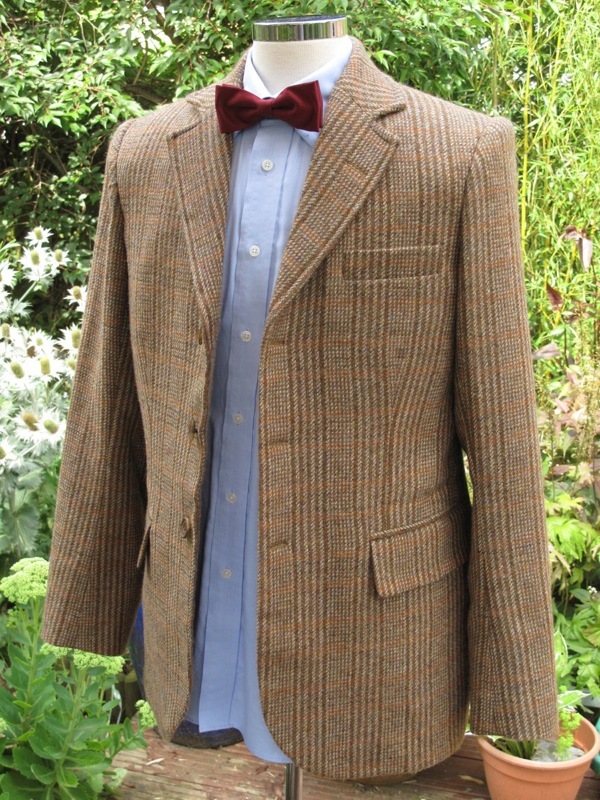 He is wearing a new shirt, this time it has French cuffs and cufflinks. 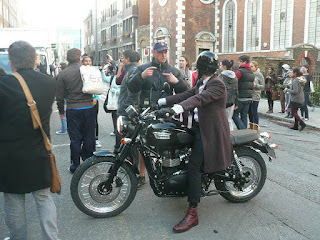 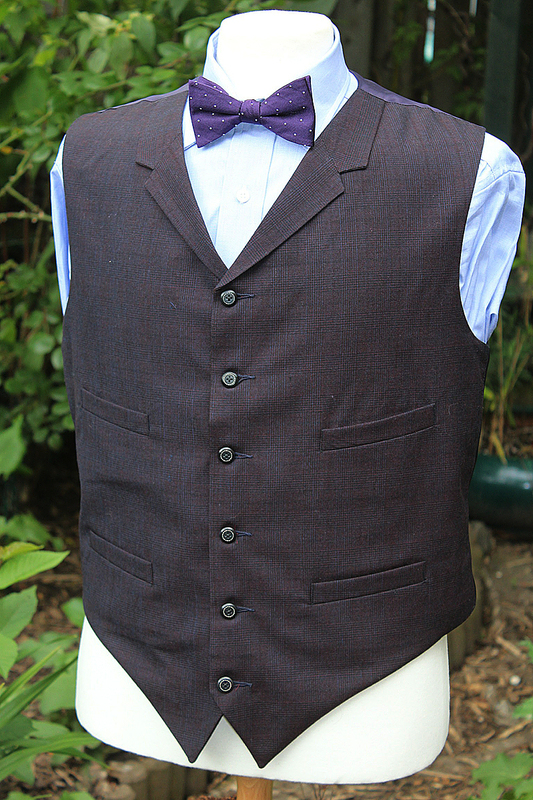 The new boots are also worn with the new frock coat, colour co-ordinated to match. The only thing that seems to have been carried over from the Pond era are the G-Star RAW black jeans. 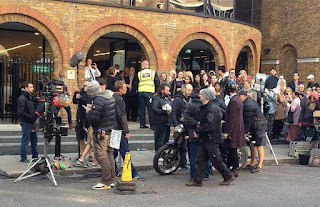 The filming garnered a number of press reports. Any ideas what make the helmet and glasses are anyone?